Having seen the list of frame inspirations, these are the philosophies that I had developed which I poured into this frame. 4mm single plate. 4mm Single Plate CF cuts tend to be quite expensive, but they also tend to be much stronger. 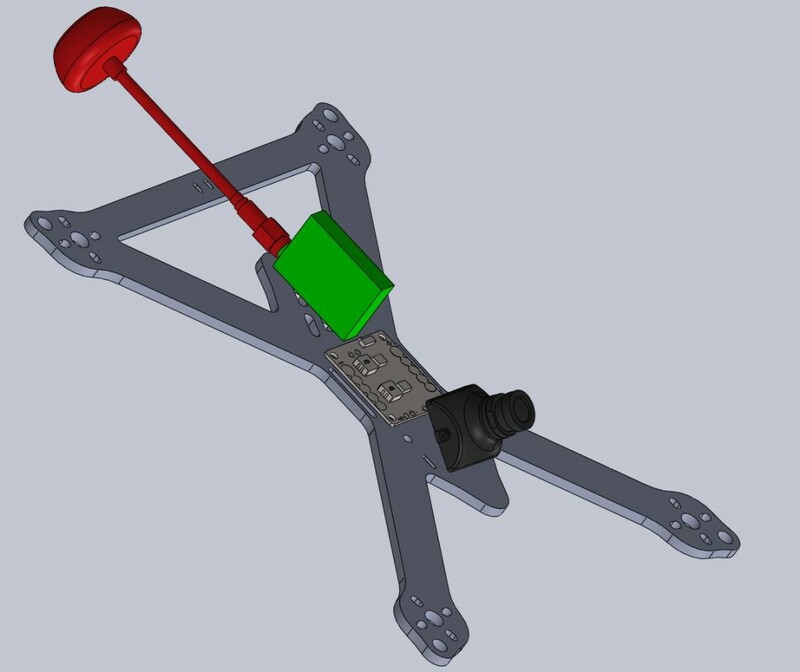 The struts both on front and back will help disperse impact that would cause breaks at the stem of the arm to send shock through both arms, helping to prevent major damage. 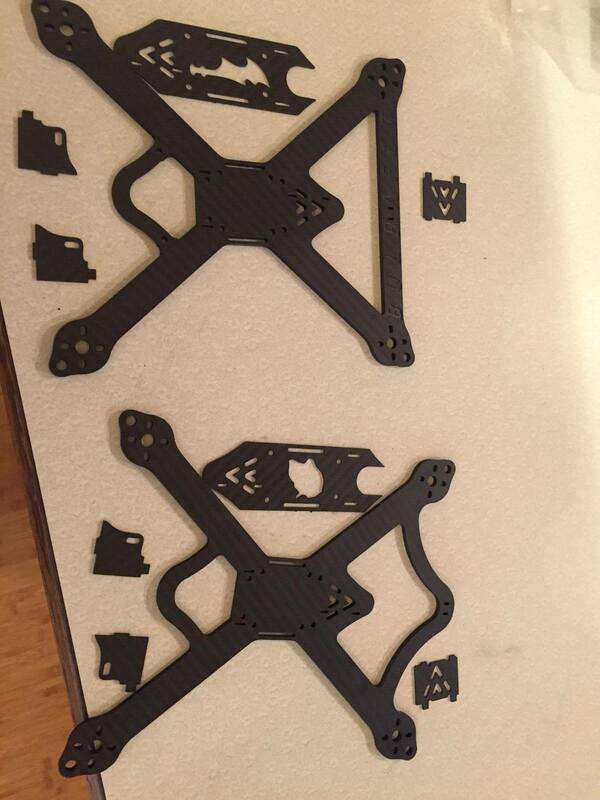 I acknowledge and accept the fact that 6″ monoplate designs carry a higher risk of “totaling” a quad because the extra fulcrum of the motor futher out on the arm will create a larger force applied to the center of the arm, but the struts will bring the strength of the arms at least back to that of a 5″ monoplate. By pushing the motors further out away from the body, they have a higher relative torque on the pitch/roll of the frame. Think about it like a lever: the longer you make your lever, the easier it is to lift something. In the same way, the motor’s torque is more effiecently applied on a 6″ stance than smaller, and as a result your effective PID tuning window because easier to find as a result of motors’ forces being applied more effectively. This does mean that props are in the vision of the camera, but I personally prefer having props in the view, as it tricks my brain into having a better sense of relative size. By having some small reference point, it helps me better maintain my altitude. 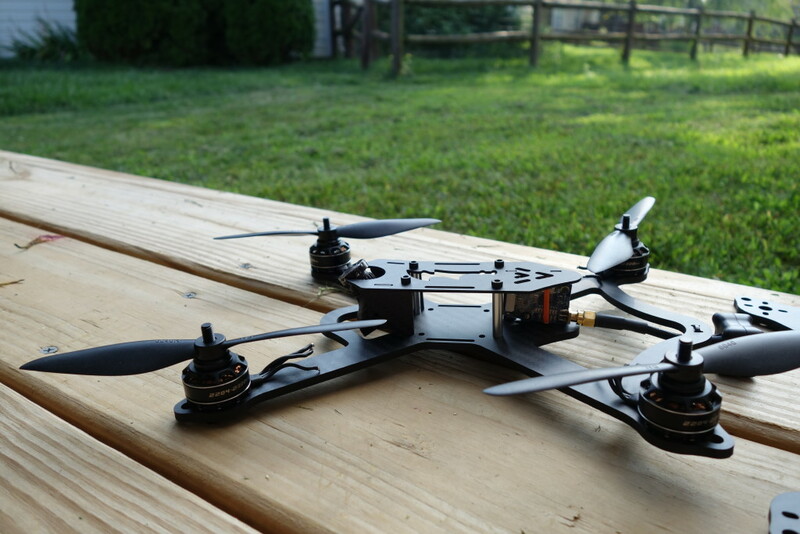 Having the camera nearly as low (in forward flight) as possible on the frame means that you are the closest thing to the ground. As a result, vertical height acquisition becomes significantly easier. 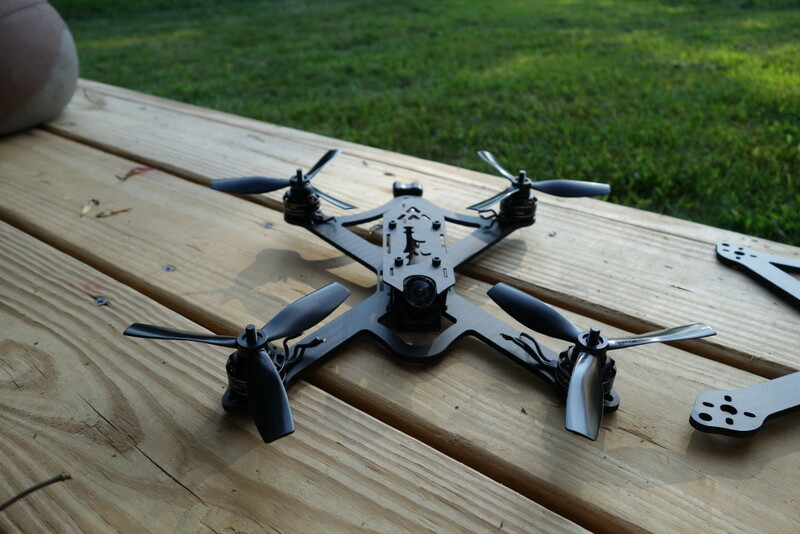 With “pod quads” (Artemis, Shrike 185, Falcon 185), the lens of the camera is very high above the COT. As a result, you get a feeling as though you were driving a car from on top of the car. That’s not the case with the Kratos, as it “puts you in the driver’s” seat, by pushing the camera as low as possible. The standoffs are currently set at 25mm. We are considering dropping the total height down close to 15, but are going to leave it at 25mm for now. The VTX is mounted on it’s side inside the frame, zip-tied to CF plate that runs between the top and bottom plates. 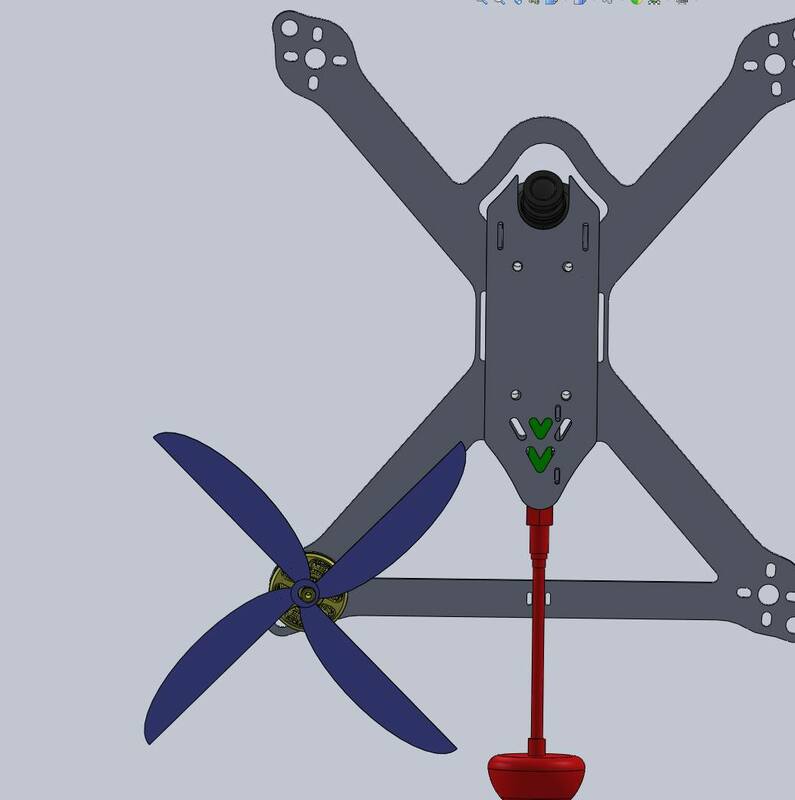 The antenna runs out the back and is zip-tied under the back support strut, keeping the antenna out of the prop line, and putting ZERO stress on the stem, SMA, or neck of the antenna. 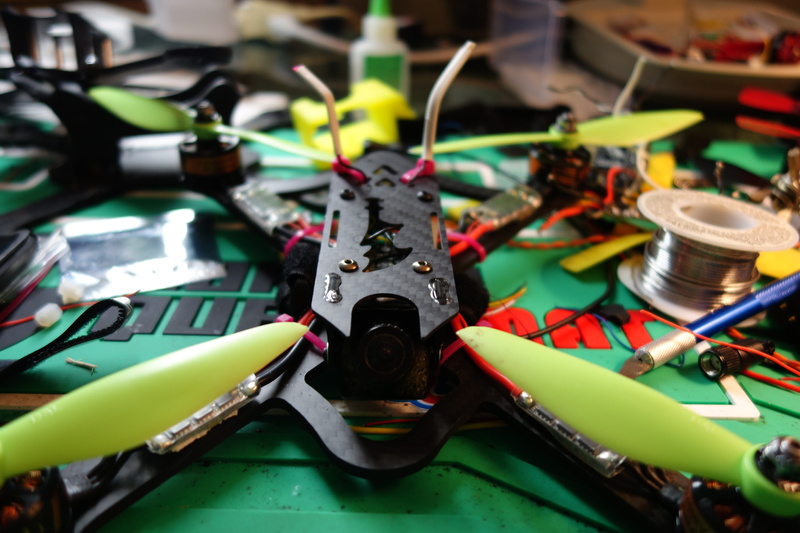 In this way, there is zero chance of damaging your VTX — only potentially the element of the antenna, but that can be built to be very very durable. 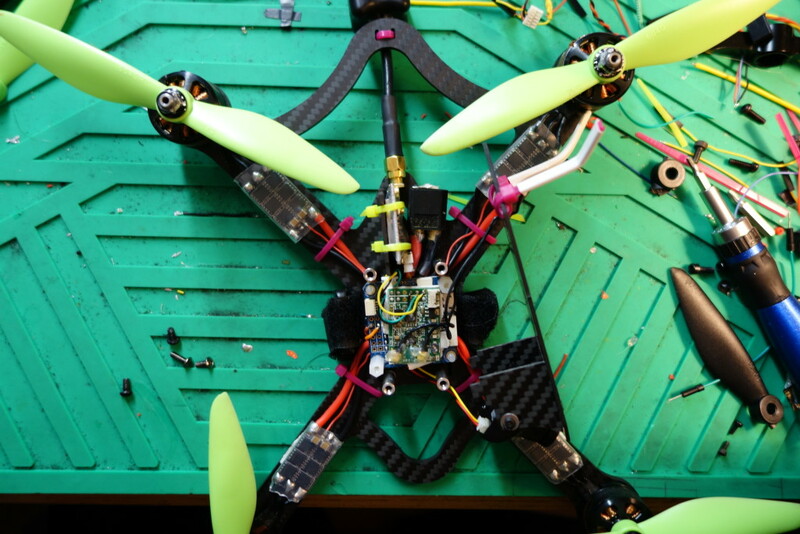 Depending on what antenna you use, and how you mount it, the goal is to never break an antenna again. Pretty standard these days, but it seems like “hanging” the weight of the battery underneath has been good effect on the flight characteristics. 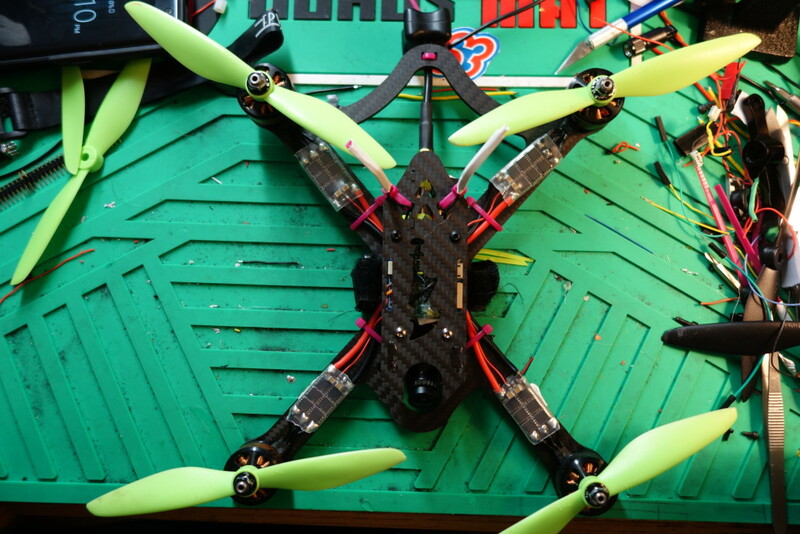 Currently a popular frame design for racing. Corners better and feels more built for straight line speed. In forward flight, StretchX turns into an X because of the angle of attack. Thus, in fast forward flight, what you find is that each motor is operating at peak efficiency during fast forward movement. Early versions of the frame actually had a ‘nose’, but it prevented the camera from dropping further. 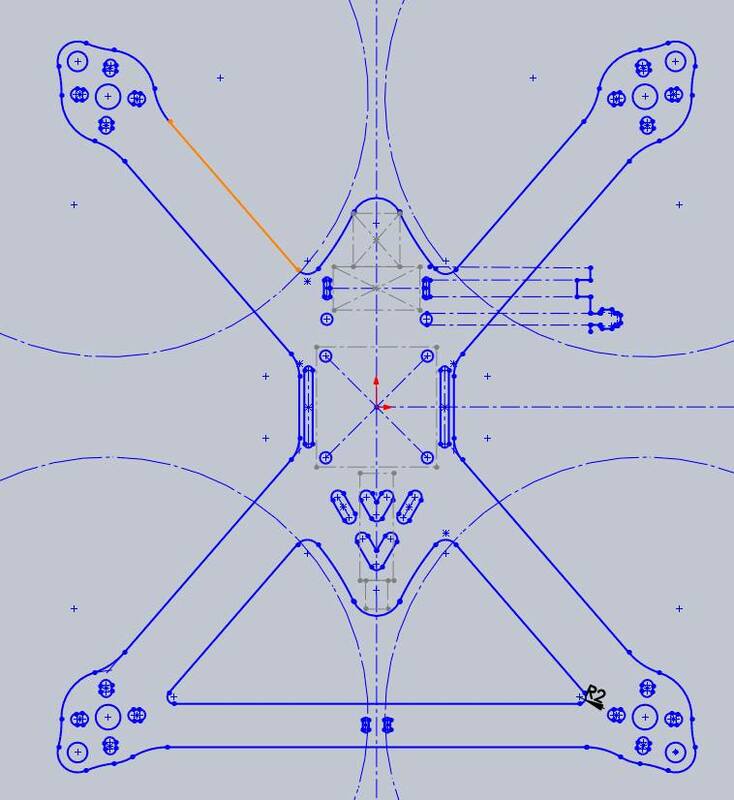 Rough drawing showing the spacing of the VTX, FC/PDB stack, and camera placement relative to each other on the nose board. Top down view once the nose was taken out. Very first cuts of the Kratos. We played around with a straight back crossbar, but it didn’t suit the design as well, so we stuck with a curvy crossbar. Later versions thinned it out, moved it towards the base of the frame, and made it a bit less curvy. Issues with version .1, which was the first cut of the frame. 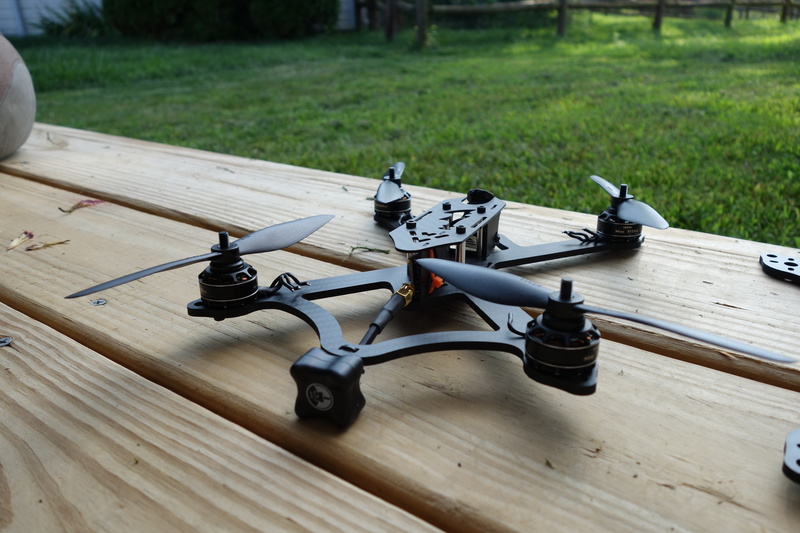 Currently a bit heavy — monoplane mm with heavy crossbars and whatnot weigh in at 85g for a single plate, but with 6” capability, maybe that’s okay? Cut 1 showing sideplate mounting. 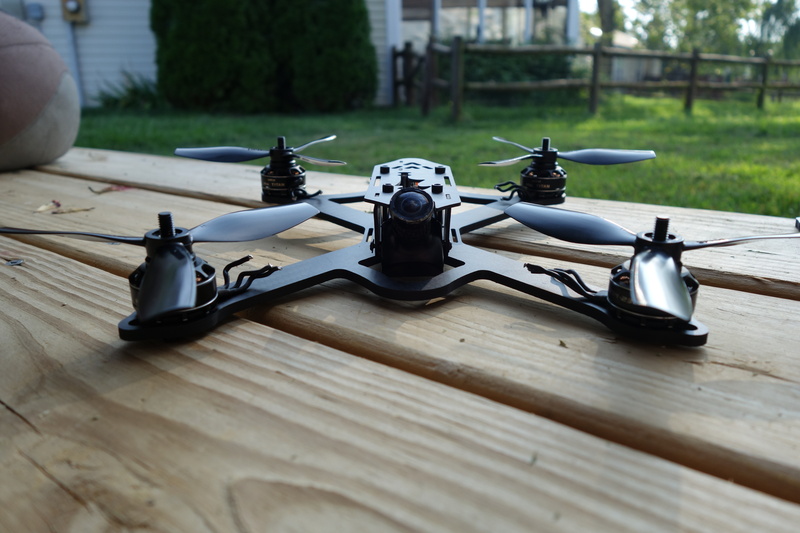 First fully assembled build of version .1. Top down view of electronics installation. Top down view of final build. Impressive build. Would you be interested in building one for me?